Judge affirms jury findings, grants increase in award to LOG-NET, and denies DHL's motions for new trial, reduction of the award and error in law. 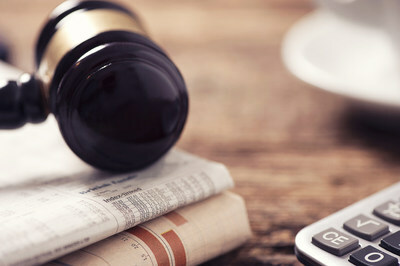 TRENTON, New Jersey, April 9, 2019 /PRNewswire/ -- United States District Judge Michael A. Shipp rendered his opinion in the DHL Global Forwarding v. LOG-NET (3:12-cv-01732-MAS-TJB) case affirming the jury's $14,411,000 verdict in favour of LOG-NET finding that DHL infringed LOG-NET's copyrights and breached the covenant of good faith and fair dealing, denying DHL's post-trial requests and awarding pre-judgment interest to LOG-NET. The Court agreed with LOG-NET that "there was more than sufficient evidence from which the jury could, and did, conclude that DHL breached the covenant of good faith and fair dealing." The court also affirmed the jury's finding that "DHL committed copyright infringement by dispersing confidential information and by reverse engineering, specifically the structure of the database, the reporting, the FCR, allocation logic, and EDI messages." Judge Shipp also awarded pre-judgement interest to LOG-NET for the period of 2012 to whenever the final award is paid. He also gave LOG-NET the opportunity to clarify its application for a permanent injunction concerning DHL's use of the infringing works. After LOG-NET's successful trial, DHL requested the Court overturn the jury decision and grant a new trial, or, in the alternative, reduce the award and judgment as a matter of law. The court denied all of DHL's requests noting that the "testimony of James Bocchino, Irene Costa, Brice Jones, Corey Bertsch, John Motley, and others, along with the documentary evidence introduced at trial were sufficient for the jury's conclusion." For the jury to find copyright infringement LOG-NET had to demonstrate that DHL obtained a copy of LOG-NET's protected work(s), then copied and published software or documentation substantially similar. LOG-NET had to prove that DHL's and GT Nexus' accused work is substantially similar to its protected works. In his recent opinion, Judge Shipp did not find a reason to disturb the jury's finding that the elements of copyright infringement had been met by LOG-NET by a preponderance of evidence. In the testimony of Brice Jones a DHL employee, the jury heard that, as early as 2009, Mr. Jones and Pierre Wong of DHL were sharing detailed copies of the LOG-NET database structure with GT Nexus. This was correlated with the testimony of DHL's Corey Bertsch, which LOG-NET argued showed that DHL submitted report examples to GT Nexus. John Motley and Jonathan O'Keeffe , CEO and CTO of LOG-NET, each testified that elements of LOG-NET's original database designs, screen designs and outputs were inappropriately shared by DHL with GT Nexus. Mr. Bertsch further testified that he provided copies of a report definition booklet to Phil Oberhausen of GT Nexus. The jury and Court heard and saw evidence that this was a copy of the report section of LOG-NET's help guide. Similarly, documents showed that DHL forwarded various operational reports to GT Nexus. The judge and jury also heard testimony from James Bocchino of DHL that he was tasked with "cloning" LOG-NET EDI into GT Nexus. The jury heard Mr. Bocchino attempt to explain what he meant when he said he was "reverse engineering" LOG-NET EDI to work in GT Nexus. Messrs. Jones and Bocchino testified that these unlicensed LOG-NET EDI formats were still in use today. During the trial the jury heard how Julia Piexoto Peters, Brice Jones and Corey Bertsch of DHL created their original Complaint and their complex and seemingly wrongly figured allegations that LOG-NET was removing licenses, but the jury found the evidence showed LOG-NET had not committed any breach of its contract with DHL. When confronted with facts about his false certification to the court that certain items, including Coach handbags, were being held up at customs, a certified statement used by DHL to gain preliminary injunctive relief to keep running LOG-NET, Mr. Bertsch admitted that his statements to the court were not true and that he never corrected his statements. Speaking on the Court's recent opinion, John Motley, Founder and CEO of LOG-NET said, "Judge Shipp's affirmation of the jury verdict is very encouraging for creators of works of art. But as can be seen from this glimpse of our journey my opinion is DHL is an unethical adversary. The sheer number of DHL actors involved with GT Nexus speaks to a stunning culture of bad behavior encountered at every level. I would have thought someone would have stopped and said that this behavior was wrong. In 2012, LOG-NET was targeted by DHL and a lot of good people, some of whom participated in creating our work, lost their jobs at that time. We will continue to seek justice in this matter." LOG-NET, Inc. has a 25-year history of innovation in the international supply chain technology industry and autonomous logistics. As a pioneer and leader in end-to-end (E2E) supply chain solutions the company delivers global logistics and supply chain capability on a Software As A Service (SAAS) basis. LOG-NET has created some of the most advanced machine learning and its ePLtm platform achieves new levels of autonomous logistics. For more information, please visit www.LOG-NET.com.